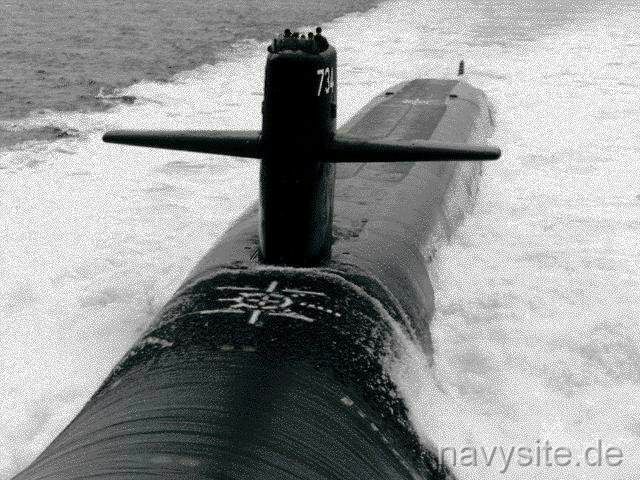 USS TENNESSEE is the ninth ship in the OHIO class of Fleet Ballistic Missile Submarines and the second ship in the Navy to bear the name of the state. This section contains the names of sailors who served aboard USS TENNESSEE. It is no official listing but contains the names of sailors who submitted their information. 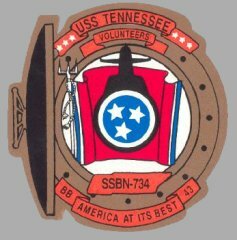 Click here to see which USS TENNESSEE memorabilia are currently for sale on ebay. 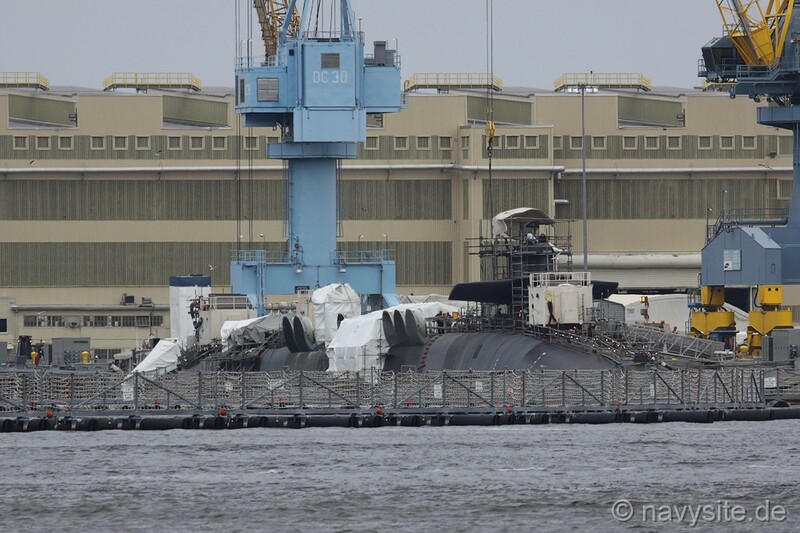 The photos below were taken by me on October 27, 2010, and show the TENNESSEE at the Norfolk Naval Shipyard, Portsmouth, Va., during her 36-month Engineering Refueling Overhaul there. 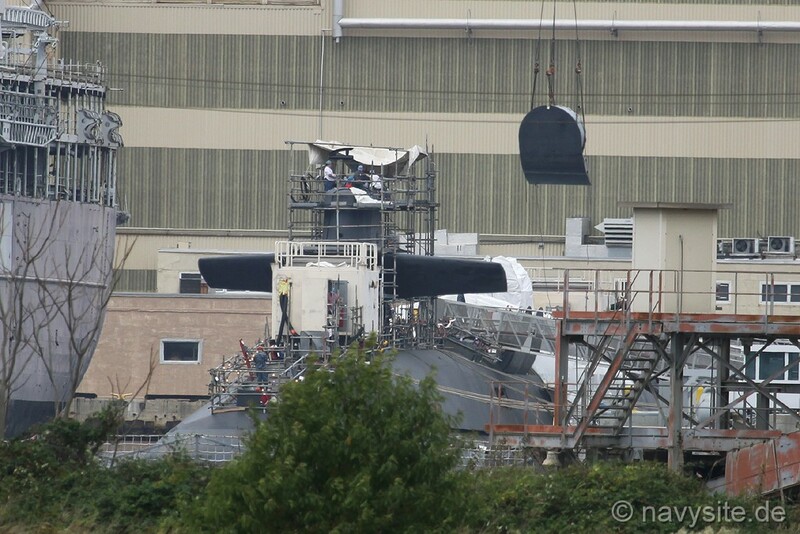 Note the crane lowering a launch tube hatch on the deck of TENNESSEE. 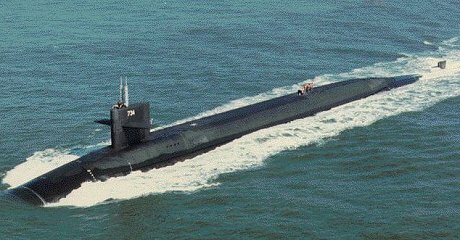 The photo below was taken by me and shows the TENNESSEE at HMNB Clyde, Faslane, Scotland, on October 8, 2016. 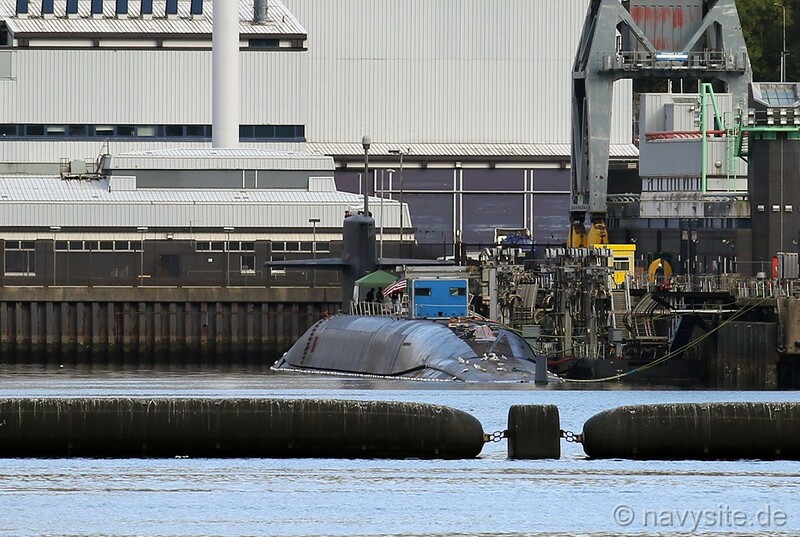 The submarine arrived at Faslane on October 7. 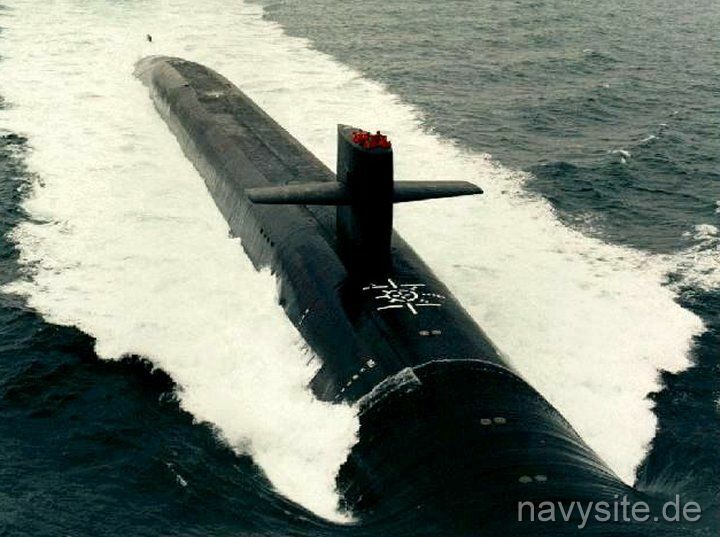 Although the Navy called it a scheduled port visit, there were rumors around the base that the reason for the visit were medical issues with a crewmember. However, this has not been confirmed by any official source.